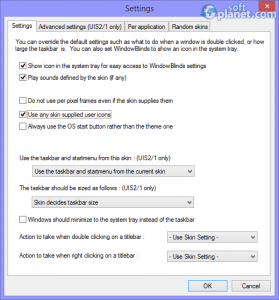 SoftPlanet makes it possible for everyone to get free WindowBlinds download directly from our servers. There is no registration needed for downloading. It is very important for many of you how you look. 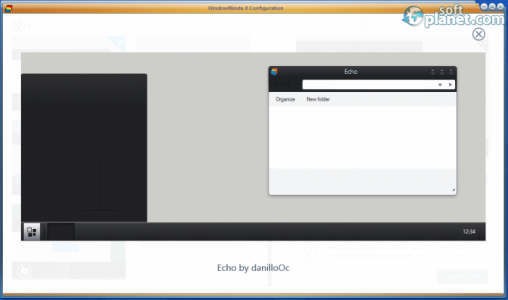 If you think the same about your Windows operating system then take a look at WindowBlinds 8.13. 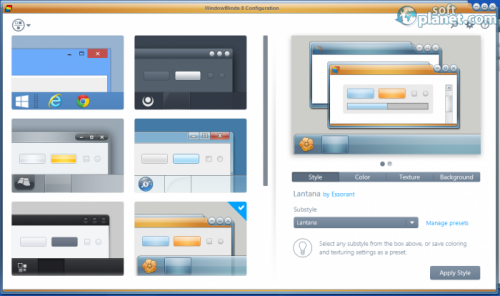 This is a configuration program, which is designed to change most of the aspects of your Windows interface. You can download this 30-day trial version of the application for free and if you like it – get the full one for just $ 9.99. WindowBlinds allows you to make your desktop interface and also the taskbar, all window frame and control button interfaces unique. 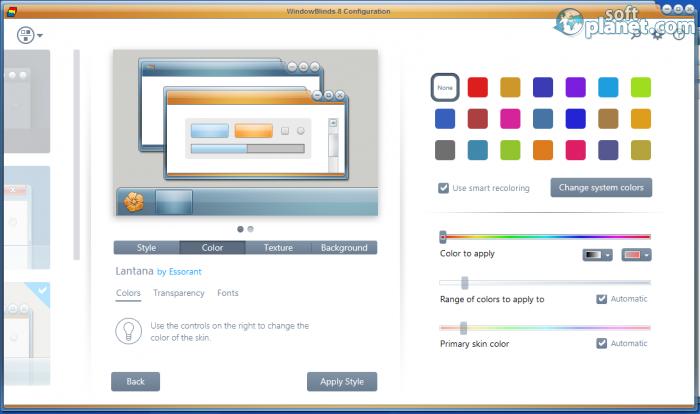 WindowBlinds is a fully-featured configuration tool for stylizing your computer OS, customizing all skins, fonts and their transparency, applying simple effects and presets. Best of all – you can design your own skins or download more unique ones from the web. This program is compatible with Windows 8.1/8/7 and it also has per application skin options. There is an available preview for those of you who need to take a look at every detail before it gets applied. Because WindowBlinds is a customization program, its own interface is a masterpiece. You can enjoy it even before you tweak your Windows desktop, background or skin. The left side of the application is preserved for all the available skins preview. You can scroll up and down and try all of them even because of curiosity. The right side of the program screen is the active one. 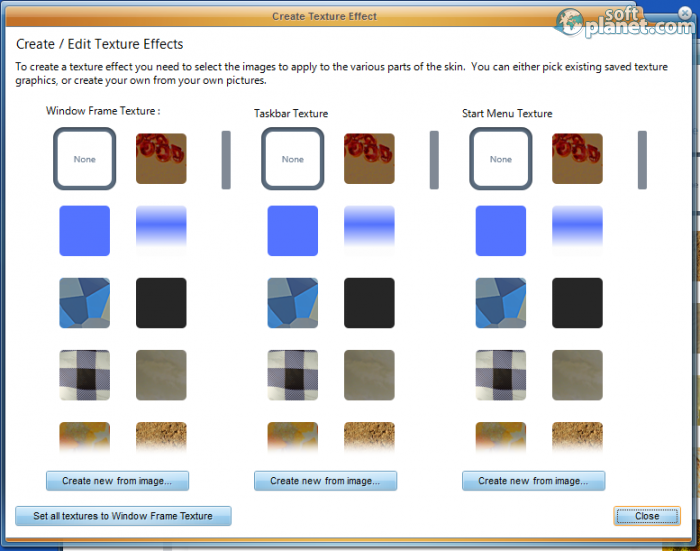 There you can get a quick preview of the applied effects or change your Windows style, color, texture or background completely. Every single change can be saved as a separate preset and loaded if needed. The Apply Style button triggers the change and you can use it for an unlimited number of times. The Color tab has three sub-tabs; the second one deals with transparency, the third one – with the default Windows font and you can make it smaller, larger, without shadows or override the font defined by the skin. WindowBlinds 8.13 is full of new, different textures and not just that, but you can create a new Windows frame, Taskbar or Start Menu texture from an image. The Background tab can be used to modify the Wallpaper or Explorer backgrounds. Active windows and all inactive ones may have different levels of opacity. The Settings button brings up more advanced settings and there you can specify which particular Windows app they will be applied to. 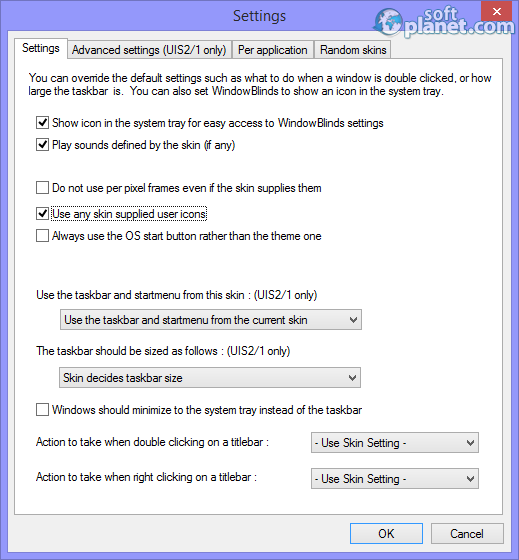 To sum it up we can assure you that WindowBlinds is one of a kind tool which is also capable of forcing the Start button to be positioned in the middle of all skins. The easiness of use and the great opportunity that you have to change the face of your Windows interface turns this program into a desired tool for many computer beginners or advanced users. Our security scan shows that WindowBlinds is clean from viruses. The current version of WindowBlinds has been scanned by our system, which contains 46 different anti-virus algorithms. That ensures that WindowBlinds 8.13 is 100% safe for your computer.